An initial consult allows our Physiotherapists to take a medical and injury history and perform a thorough physical assessment in order recommend the best way forward for you. Our assessment s often include a real-time Ultrasound which is used to ensure you have a thorough understanding in the ability to activate your core muscles. As well as ensuring your safety, an initial consult will set you up for an effective and targeted program that gives you the best chance of reaching your goals. After we take your medical history, injury history and establish your goals, a movement screen will look at how your body moves and how it performs in a variety of movement tests. 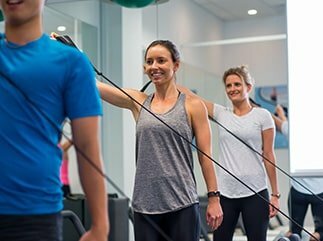 This forms the foundation upon which exercise is prescribed, and gives us valid measures to continually reassess as you do sessions within our clinic. 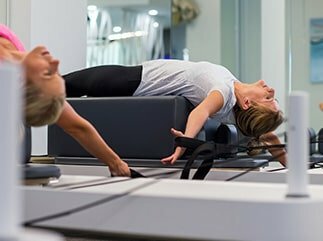 If time allows you will then move into the Exercise studio to be introduced to your program a s our Rehab and Pilates equipment. Your exercise program will be directly based on your goals such as reducing the frequency of back pain or hamstring tears, or strengthening the core muscles in time for the running season.